Acupuncture is used by physiotherapists for pain relief, usually in conjunction with hands on treatments. It involves the insertion of very fine needles in to the skin. 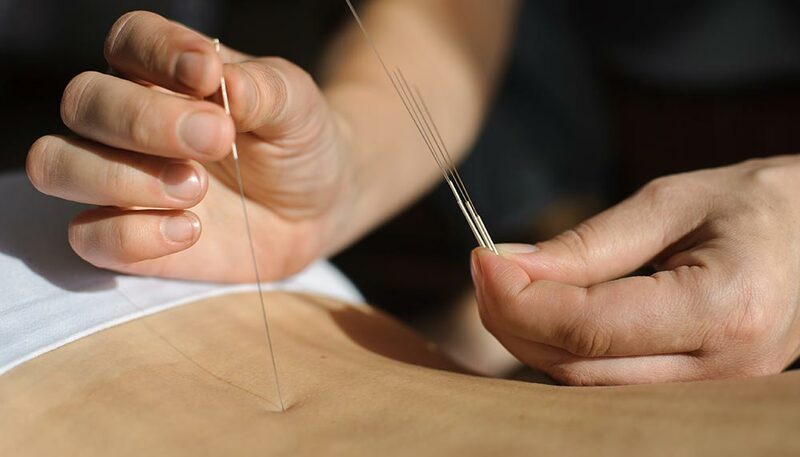 Acupuncture can be used to treat a wide range of conditions, for example NICE guidelines (2009) recommend a course of acupuncture for persistent low back pain. In September 2012, NICE recognised the benefits of acupuncture for migrane and tension-type headaches too. Acupuncture stimulates the body to produce it’s own pain relieving endorphins, can help sleep by stimulating melatonin, and may encourage a sense of well-being by the release of serotonin. It also stimulates nerve fibres to block out pain signals. This is how it can be so effective for pain relief. During your first session the physiotherapist will take a full medical history and ask you about current medical problems. There are certain conditions which would prevent you from having acupuncture and you will be asked about these first. During the session between 1 and 10 needles may be used and may be placed close to, or away from the painful area. They may be left in for a few minutes or up to half an hour, depending on your condition. They will be removed at the end of the session. Everybody asks this question, and the answer is no, acupuncture should not be painful. The needles are very small, about the width of a human hair so it is not like having an injection. You may feel a slight pricking sensation when the needle is inserted, and you may feel a warmth or heaviness, or a tingling around the needle, or a mild ache but this should be very bearable. Many people do not even feel the needles at all. Our physiotherapists are registered with the Acupuncture Association of Chartered Physiotherapists and adhere to strict hygiene and safety guidelines so you can be assured it will be done safely. The needles are all single use, sterile, disposable needles, only used once and then disposed of safely. If you would like to try acupuncture or if you’re not sure if your problem is appropriate for acupuncture, please ring us on 01977 301412 for a chat and we can advise you over the phone.